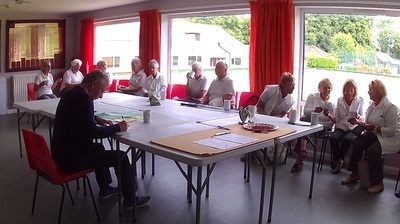 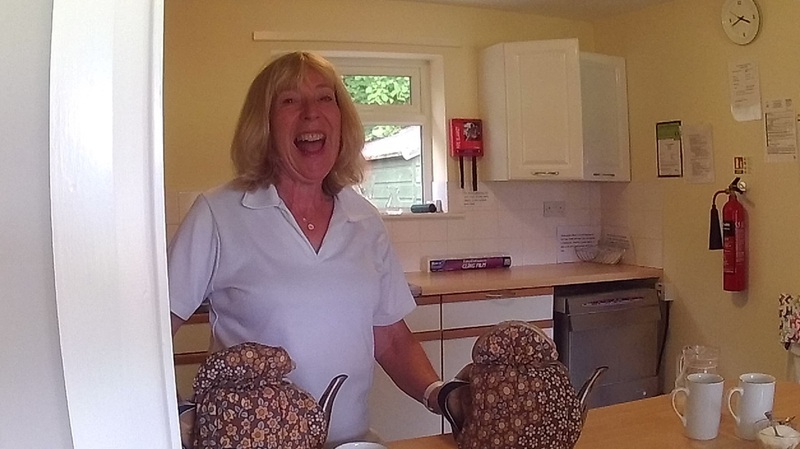 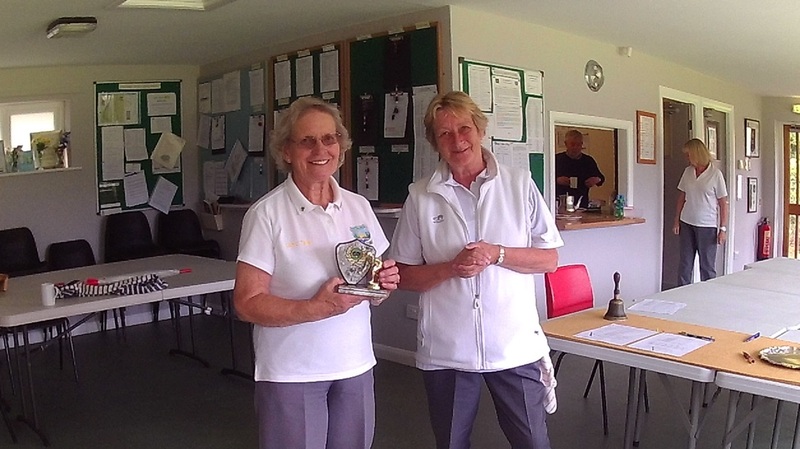 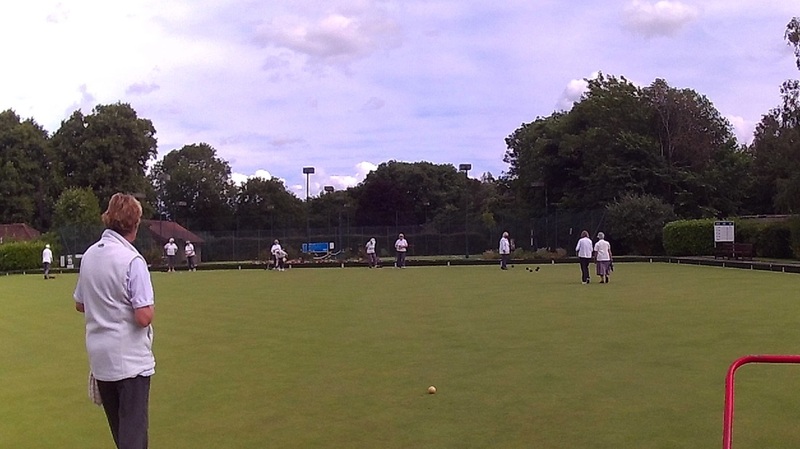 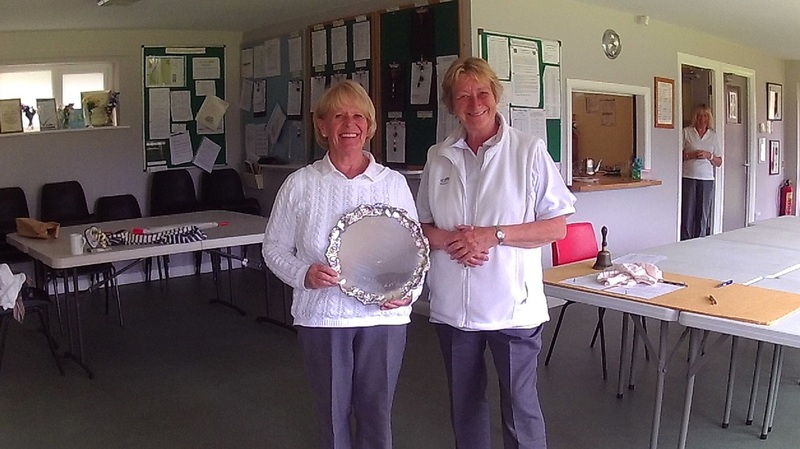 ​10 "senior" ladies took part in this event, organised by Liz Cowings & Mary Robinson (with a little help on the technical side from Dave Cowings). The mathematician hard at work! 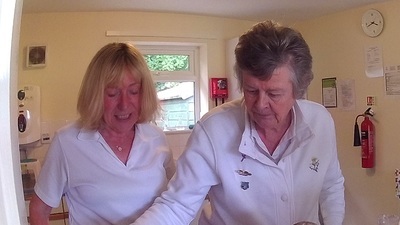 Organisers Liz & Mary - the hard task of selecting the biscuits! 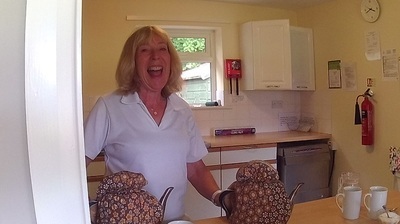 Wonder what the joke was?